Our city's chilly weather makes for warm hearts. 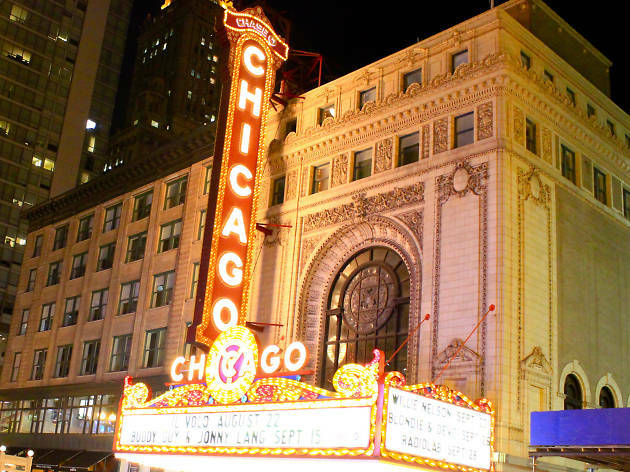 These romantic places in Chicago set the mood just right. 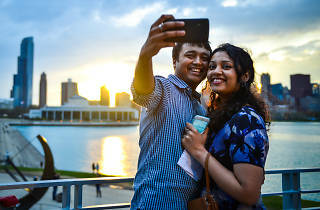 Believe it or not, Chicago is a city of romance. And possibly even more so for all the amorous pleasantries that go unseen during our brutal winters—in sweatpants, under blankets in our heated living rooms with a movie on TV. You know, the unsexy kind of stuff so often portrayed on Midwestern sitcoms. 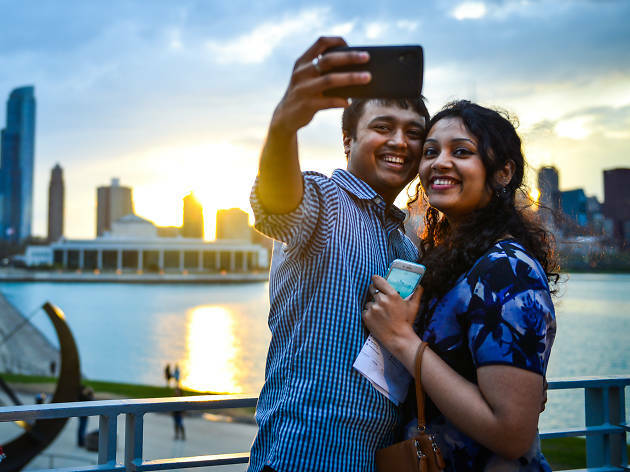 When the weather permits, though, we’re out and about like it's nobody's business, which makes Chicago one of the best cities for singles. 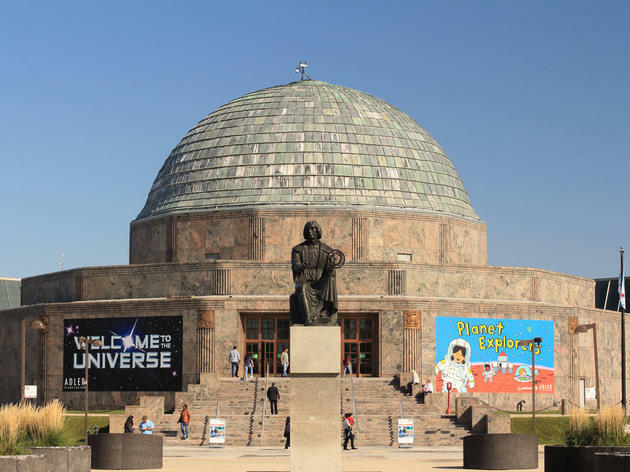 Whether it's frequenting the nearest watering hole or lazing about Chicago's beaches, there's no shortage of things to do during Chicago's summer months, and a good portion of those places to go and sights to see are loaded with romantic potential. If you're looking for venues with the best opportunities to make sparks fly or rekindle an old flame, search no further. These are the most romantic spots in Chicago. 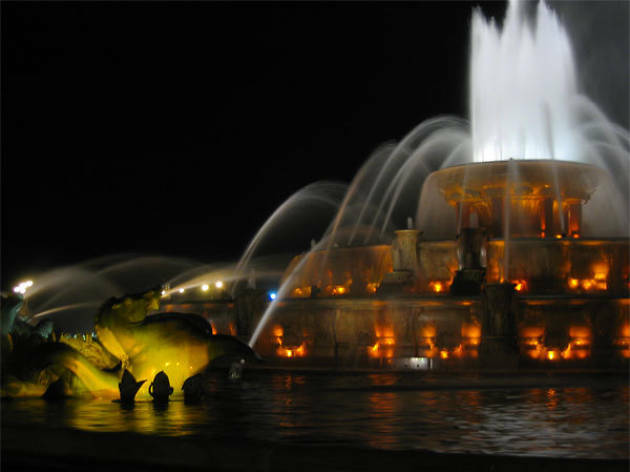 With its four Art Deco-style seahorses, Georgia pink marble and light and music show, this fountain built in 1927 is a sight to behold. From April through mid-October (depending on weather), 20-minute shows every hour on the hour feature 14,000 gallons of water spouting from 133 jets. In summer, see the nighttime colored light shows, capped off with a center jet shooting water 150 feet in the air. 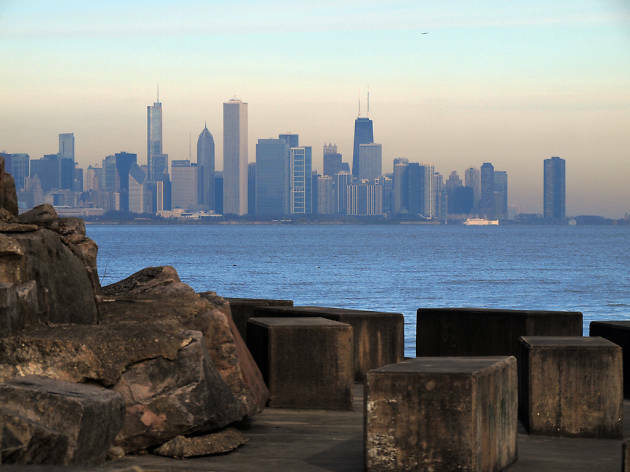 There's a good chance that you know at least one person who has considered getting hitched on Promontory Point, a man-made peninsula on the shore of Lake Michigan. Accessible via the Lakefront Trail, the park boasts amazing views of the Chicago skyline and a field house that could be mistaken for a small castle. 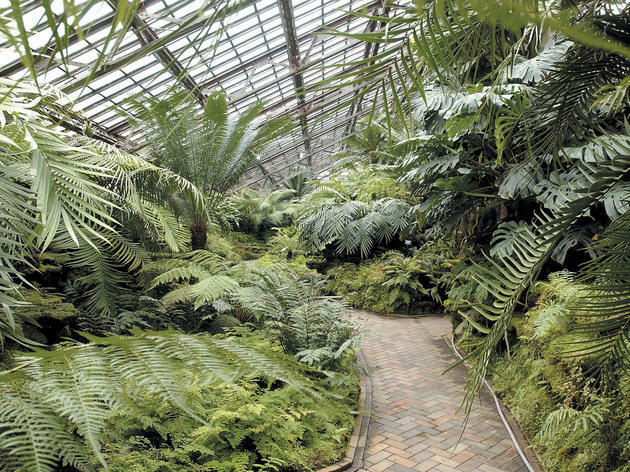 Described as “landscape art under glass” when it opened in 1908, the conservatory, while being one of the largest in the world, also boasts revolutionary architecture. With the building’s haystack shape and walls of stratified stonework, landscape architect Jens Jensen considered the Fern Room in particular, with its “prairie waterfall”—a stone and water element within a glass structure—to be one of his greatest achievements. 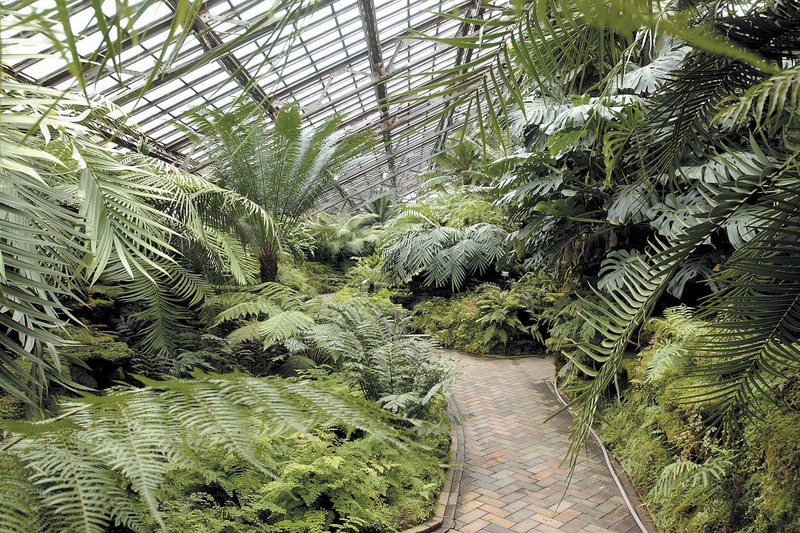 When winter rolls around, the 120,000 lush plants that populate the space make a great backdrop for a date. Sneak a kiss in the Desert House or stroll through the Aroid House hand in hand. 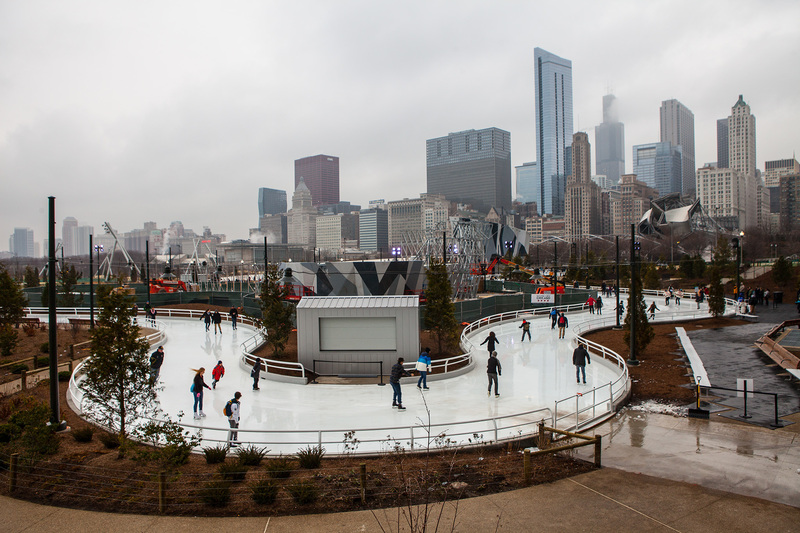 If you don't mind sharing personal space with kiddos, skating through this winding downtown ribbon is a great way to spend a winter afternoon date; both the path and the skyline views make this far more enticing than your average rink. 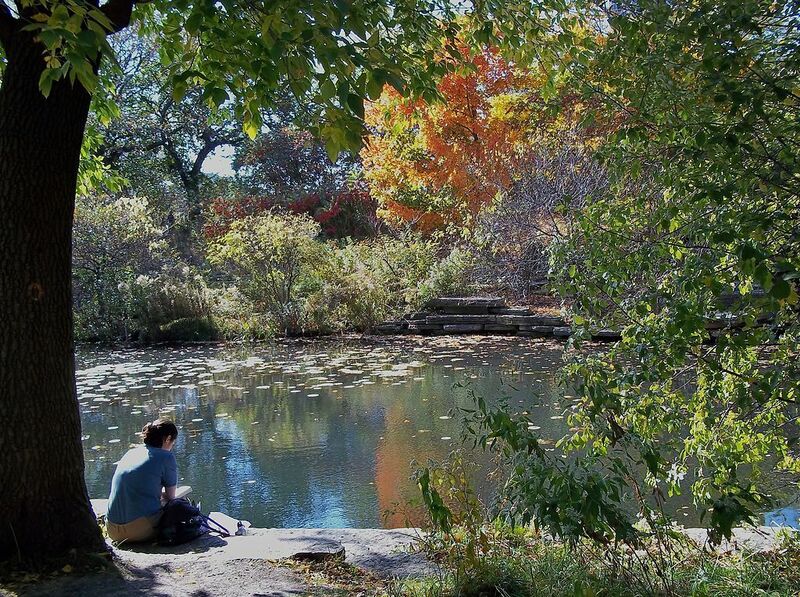 This semihidden oasis inside Lincoln Park, accessible from April to November, has become a popular venue for small weddings since it was restored and reopened in 2002. But you don't have to be getting hitched to feel the spot's naturally romantic vibe. 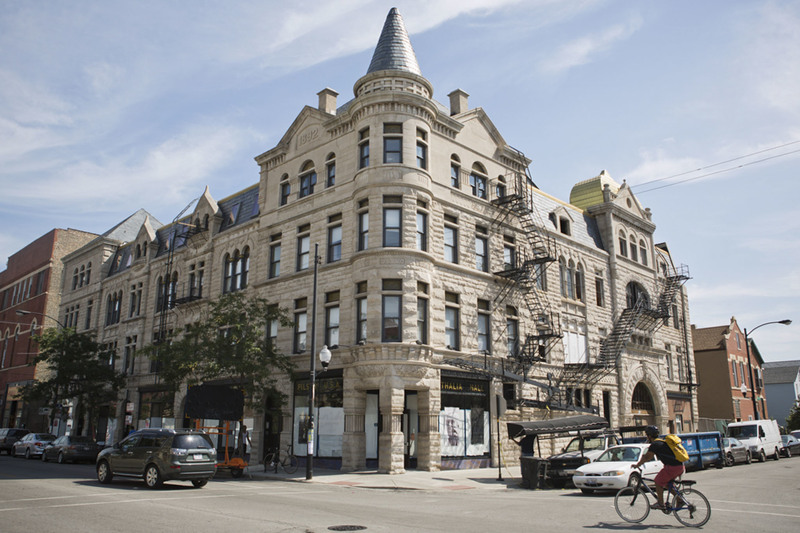 There's a reason so many Chicagoans take their engagement photos at this institution. Situated at the outermost point of the Museum Campus penninsula, the Adler boasts specular skyline views—arguably the best in the city. But the building itself ain't too shabby, either. 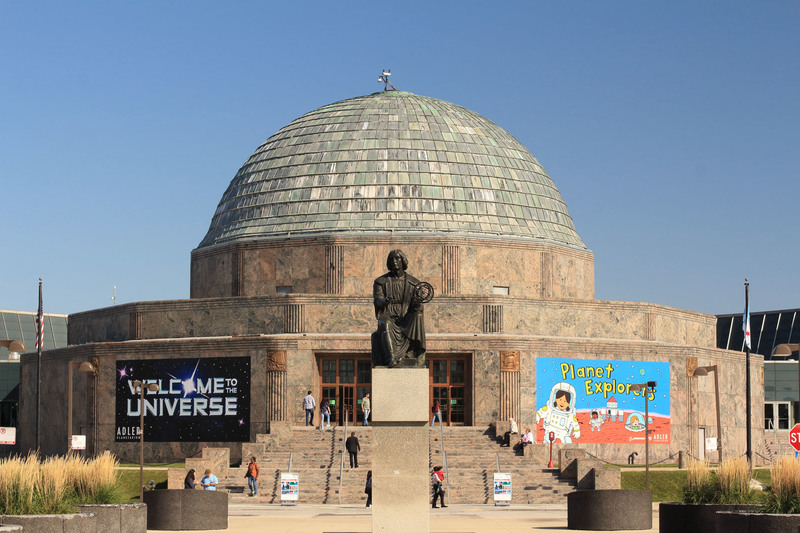 Opened in 1930 as the first planetarium in North America, the Adler is a National Historic Landmark. Make it a date night at the museum's monthly 21+ series, Adler After Dark, which features wine, beer, and lots of fun factoids about the night sky. 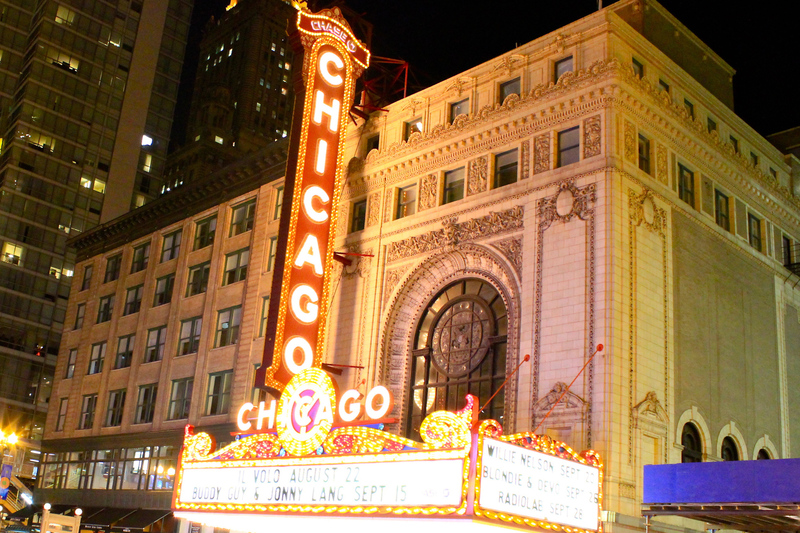 The Loop’s 5,000-seat Chicago Theatre was the opulent French baroque-style flagship of the Balaban and Katz movie palace chain when it opened in 1921. It’s still a beautiful venue (you’ve probably seen the famous illuminated Chicago marquee even if you’re from out of town) that’s surprisingly cozy for its large size. To say the Chicago Athletic Association is beautiful is to put it mildly. 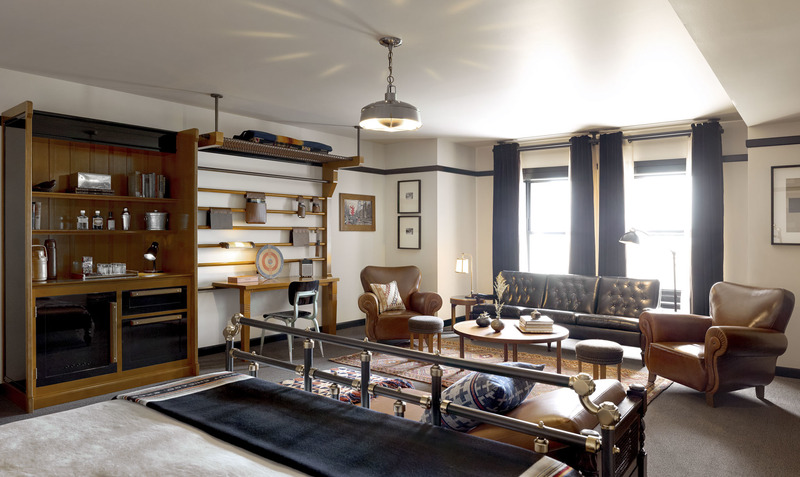 Stay in one of the 241 luxury, boutique rooms—throwbacks to the club rooms of athletic associations long gone. 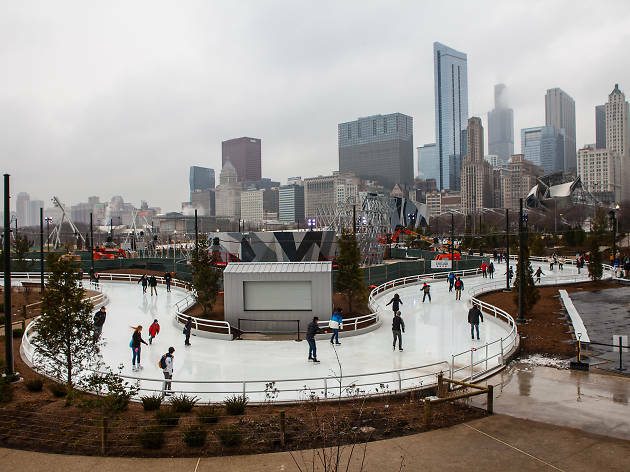 From the unparalleled view of Millennium Park and Lake Michigan at Cindy’s rooftop restaurant to more great food and drink at Cherry Circle Room and Shake Shack, there’s no shortage of options. 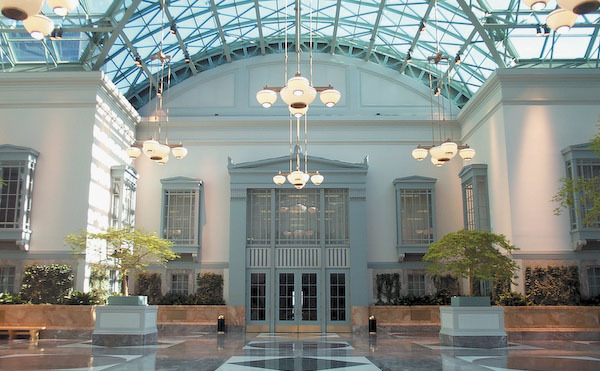 The ninth floor of the Harold Washington Library Center is one of the unsung gems of Chicago. 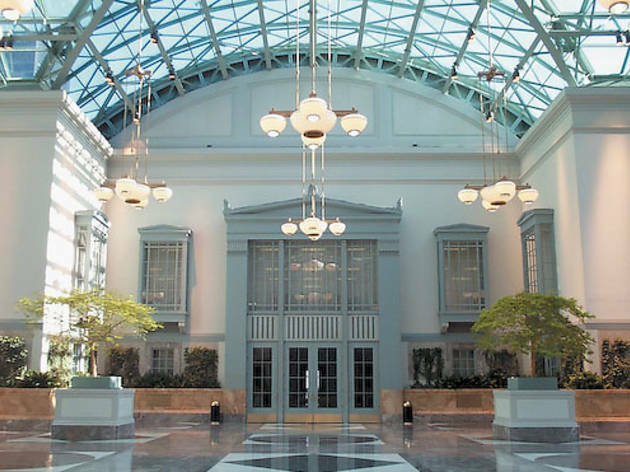 In what is otherwise a labyrinthian network of hallways and books reminiscent of Chicago's iconic bureaucracy, on the library's topmost floor is the Winter Garden, perfect for a couple to share a reprieve of peaceful quietude immersed in literature and fantastic surroundings. Initially designed by Frederick Law Olmsted for the World's Columbian Exposition of 1893, Jackson Park is one of Chicago's crown jewels. 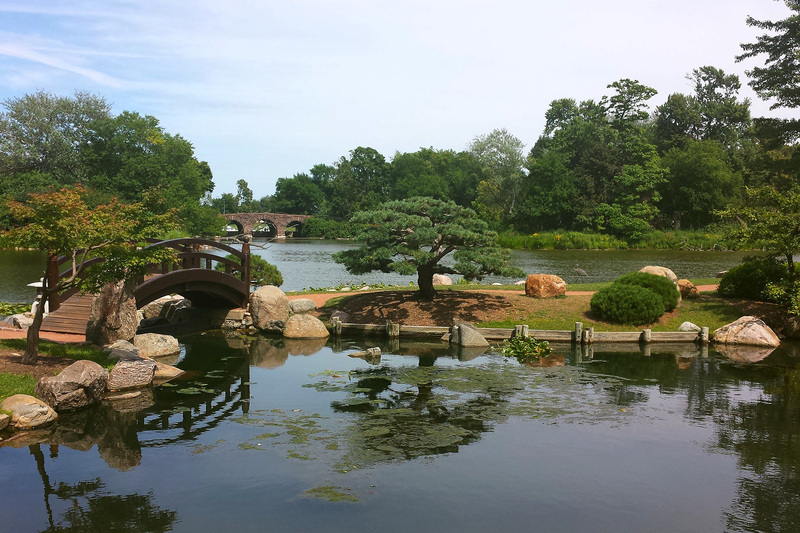 But perhaps its most enchanting section is the Garden of the Phoenix, a Japanese strolling garden on Wooded Island. 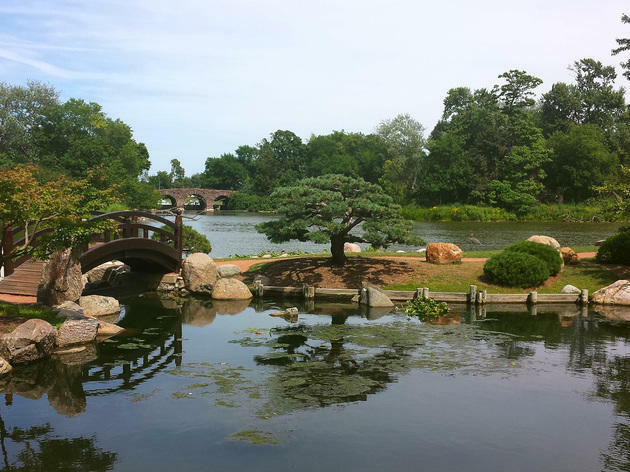 Formally known as the Osaka Garden (for Chicago's sister city), the grounds now feature a permanent art installation by Yoko Ono. It's the perfect place to saunter through with someone special. 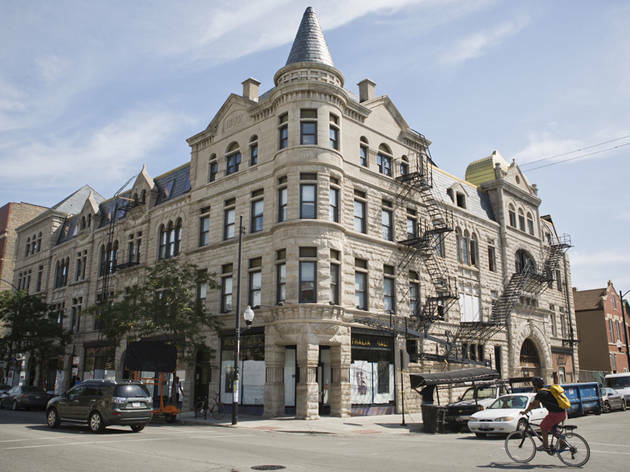 For music lovers, there's no more romantic spot in Chicago than this Pilsen concert venue. Initially opened as a bohemian opera house in 1892, the refurbished Thalia Hall hosts touring bands nearly every night of the week. It retains that 19th century charm with original molding around the stage, chipping paint and opera boxes flanking the stage. 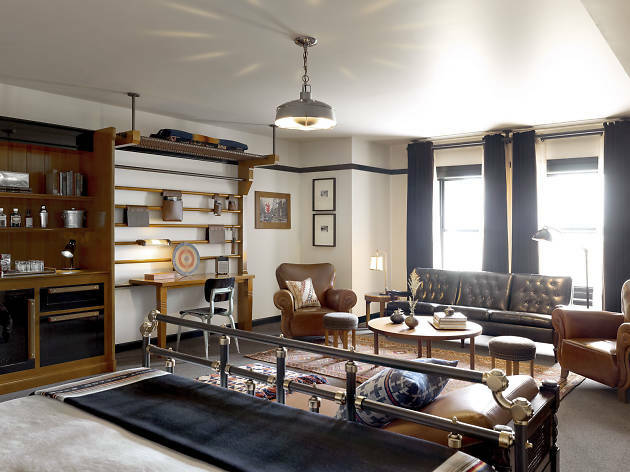 Up the ante with drinks at Punch House, the hip bar in the venue's basement, or take in an evening of caberet at Tack Room, just adjacent.